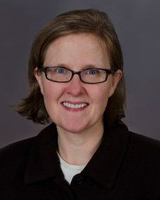 Dr. Kathleen Kemmer is a medical oncologist and hematologist specializing in breast cancer treatment and clinical research at Oregon Health and Science University. She completed Fellowship training at OHSU in 2003 and Internal Medicine Residency training at UT Southwestern in 1999. She earned her MD from University of Minnesota in 1996, and her BA from Macalester College in 1991.